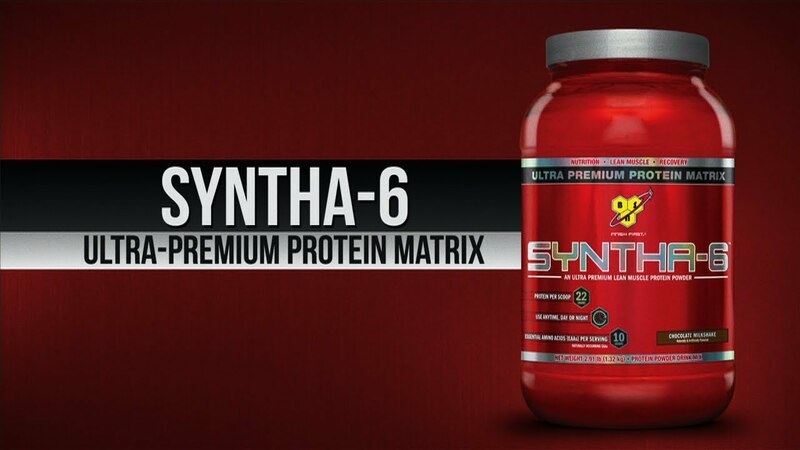 SYNTHA-6 is the ultra-premium protein that tastes 'ridiculously' delicious! This multi-functional a.m. to p.m. protein powder contains 6 individually complete proteins, each with varying digestive rates and distinct amino acid profiles. This combination ensures that your muscles are fed for up to 8 hours with the highest quality combination of proteins available in the world. To enhance this ultra-premium blend, SYNTHA-6 has also been fortified with BCAA's, muscle sparring glutamine peptides, Aminogen for greater digestion, heart-healthy meduim chain triglycerides (MCTs) and essential fatty acids, along with 5 grams of fiber for improved digestion and increased nutrient uptake. Not only does SYNTHA-6 produce 'ridiculously' delicious protein shakes, it provides you with a healthy meal, perfect for your busy lifestyle. Each of SYNTHA-6™'s proteins provides a unique and complimentary profile of amino acids and absorption rates, ensuring that your muslces never run out of protein building blocks. MCTs (Medium Chain Triglycerides), and EFAs (Essential Fatty Acids):MCTs are a fast-burning energy source, much like a carb. They promote the oxidation of fat over carbohydrate, and help regulate appetite. EFAs (essential fatty acids) are not produced by the body and must be consumed in order to prevent deficiency. BSN's Exclusive Advanced Flavor Technology: A breakthrough in flavor technology that replicates some of the most mouthwatering shakes you have ever tasted.